What if there was a way to guarantee that your children would love to learn? Ensuring top grades in school and higher income prospects after graduation? And what if all this could be yours along with a happier, stronger family? Studies now show that the secret to all these wonderful outcomes lies in the travel effect. Last month, I joined nearly 50 influential family travel writers and bloggers who gathered from around the United States and Canada for the TMS Family Travel Conference in Niagara Falls, NY on Sept. 20-22, 2013. Organized by Travel Media Showcase, Family Travel Forum, Taking the Kids and the Niagara Tourism & Convention Corporation, the conference drew media from major companies like Trip Advisor, AOL, USA Today and the Los Angeles Times along with representatives of destinations and tourism organizations that value and market to family travelers. This was the third conference event for TMS Family Travel, which also hosts an annual Family Travel Summit bringing together media and travel providers to explore ideas for better family travel experiences. By all measures, the family travel summit was a success. 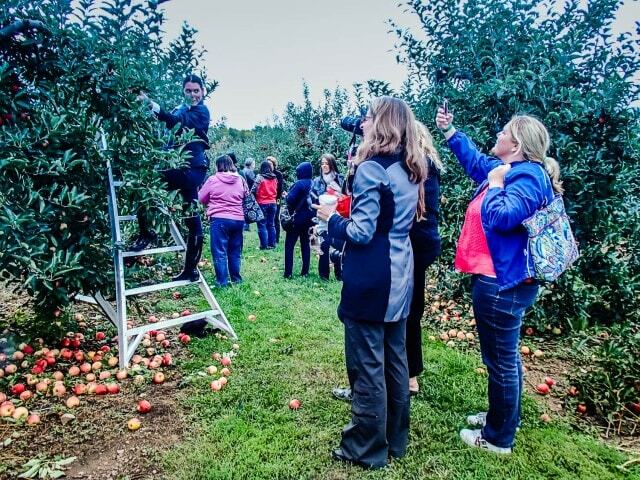 Despite a citywide blackout which forced one workshop to be held by the glow of cellphones, more than 21 million social media impressions were generated by conference attendees who toured the Cave of the Winds, rode the Maid of the Mist, and survived a Whirlpool Jet boat ride in addition to visiting wineries, Erie Canal locks, street fairs and local farms. Certainly, this is a testament to the strength of the multi-billion dollar family travel industry, now the leading segment of all leisure travel in the United States, with more than 100 million trips taken each year with children under 18. 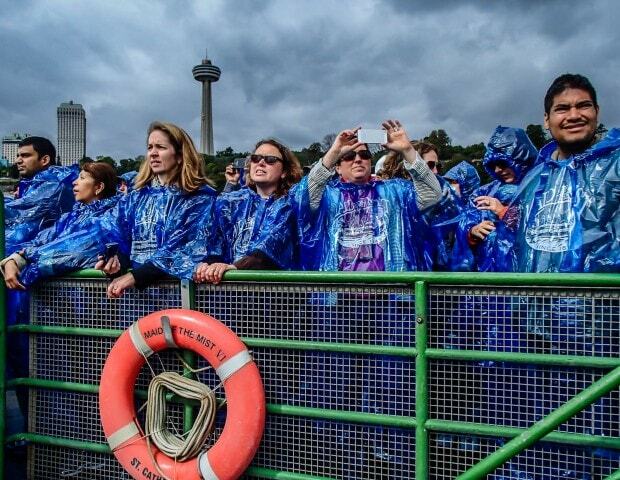 On the eve of the conference, New York State Governor Andrew Cuomo discussed initiatives to make tourism a top economic priority in Niagara Falls by developing more attractions to appeal to families and increase their length of stay. Personally, I was eager to compare my experience on the Canadian side of Niagara Falls to the US side which is currently undergoing a major revitalization to position it for today’s sophisticated travelers. But what blew me away was confirmation of what I’ve been saying all along about the value of fun & educational family travel. “A passport is the new diploma,” noted Keith Bellows of National Geographic Traveler, and a new U.S. Travel Association survey, “Travel Improves Educational Attainment & Future Success” published on its Travel Effect Campaign site suggests that those who took educational trips as kids are more likely to graduate from college and earn more– 12 percent or greater–as adults. Among those that traveled, 86% believe educational trips made them more intellectually curious inside and outside the classroom. Travel helped more than half (59%) achieve better grades. With each trip, the positive effect of educational travel grew stronger. Nearly all (95%) adults who traveled five or more times were more likely to graduate from high school, and nearly two-thirds (63%) of that group went on to graduate from college. Respondents said their trips were more than simply educational. Learning-focused travel was also fun (98%), engaging (87%) and inspiring (87%). More than half said that educational travel was “transformative.” (54%). Educational travel influenced the career choices of more than half (52%) of those surveyed. Travel made them a better person (34%). To my mind, far beyond travel’s value for our nation or for our children’s future earning potential, is its value for families. In another Travel Effects survey, “Travel Brings Families Closer Together” well, the title sums it up pretty well. 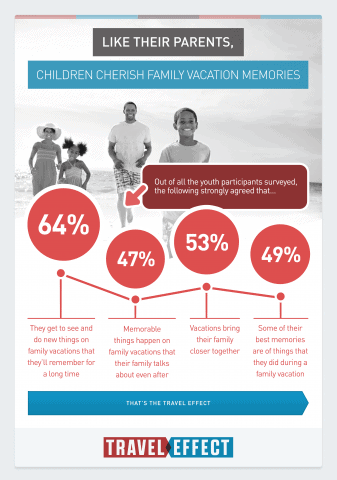 Three-quarters (75%) of vacationers older than 55 agreed that they still have “vivid” memories of childhood vacations. 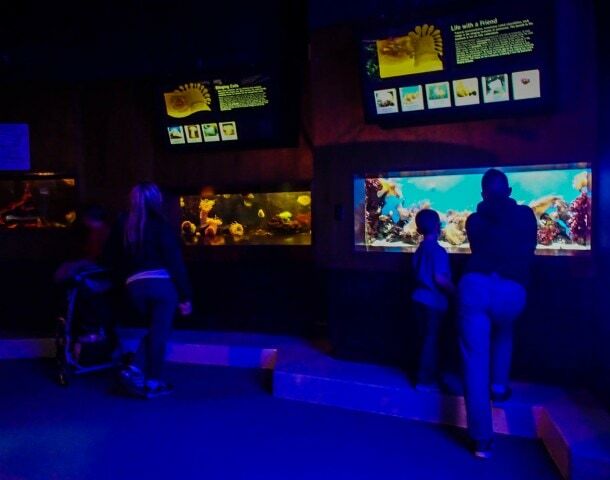 Family learning about coral reefs at the Aquarium of Niagara in Niagara Falls, NY. I’m thrilled to see the attention that is being paid to family travel by the media, travel industry, and local and national government. It’s about time. Recent events starkly illustrate what happens when we let politicians make all the important decisions about natural treasures, whether they’re our national parks or our children’s education. The future is in our hands. On my part, I’ll continue to provide more and better resources to help plan fun and educational trips. Travel–whether close to home, or far away–can make all the difference in the world to our children, our families, and by extension, to our country.